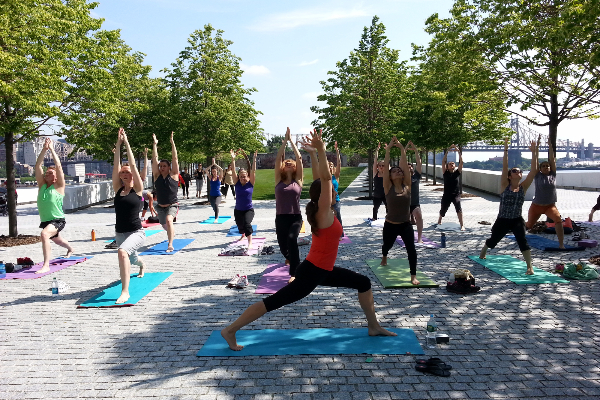 Art at Four Freedoms Park, upcoming events, and more! Email not displaying correctly? 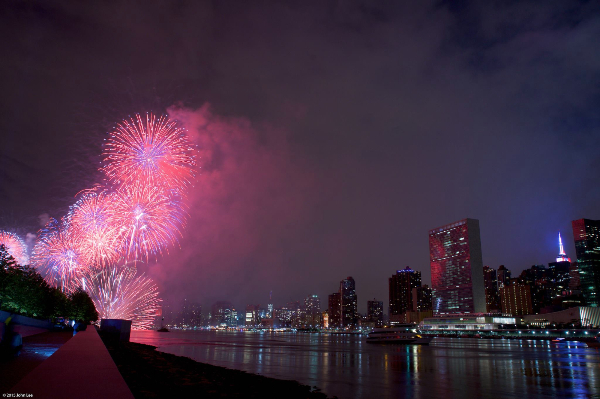 It seems fitting then that this month we celebrate art at Four Freedoms Park. Over the past year, our education department has led dozens of art-making workshops for New York City students. Integrating arts into the learning environment helps students investigate the memorial, to recognize its design, materials, and symbolism, and to think deeply about FDR's words within the context of the Park and New York City. Our educators develop lesson plans that incorporate art-making projects into student visits, using hands-on activities to explore tough questions like: How do monuments and memorials help us to remember important people and ideas? or How do the Four Freedoms relate to contemporary issues and current events within my community and world? You can learn more about the ways our educators use art in their lessons here or read a blog post about how the artwork of beloved Green Eggs and Ham author Dr. Seuss can be used as a tool to investigate historical and social studies topics here. 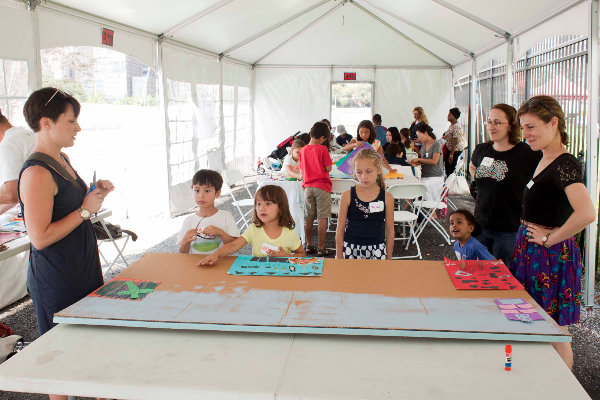 This summer, the Park will offer four Family Art Workshops during the months of July and August. These workshops will explore the themes of architecture and design, and how they relate to the Louis Kahn-designed Park. Our staff will help families create original works of art: a blue block print, an urban panorama made of recycled goods, etc. To register or learn more about these workshops, click here. And finally, we celebrate art by remembering President Roosevelt’s sentiments and actions towards the arts. “Art is not a treasure in the past or an importation from another land, but part of the present life of all living and creating peoples.” Roosevelt was a champion of the arts. (It is no wonder that so many buildings and places are named for FDR!) Under the New Deal, he initiated the Federal Art Project, which gave thousands of out-of-work artists jobs creating sculptures, posters, artwork and more across the country. Read about this project here and be sure to check our blog soon to learn more about some of our favorite WPA artists. How do you enjoy art in public space? We encourage you to share with us your four freedoms inspired artwork, your photos, or other pieces of art. As always, please let us know if you have questions or ideas to make the Park even better, or if you simply wish to say hello. Thank you for being a part of our community – we look forward to seeing you at the Park soon! The Uni Project returns to the Park this weekend. 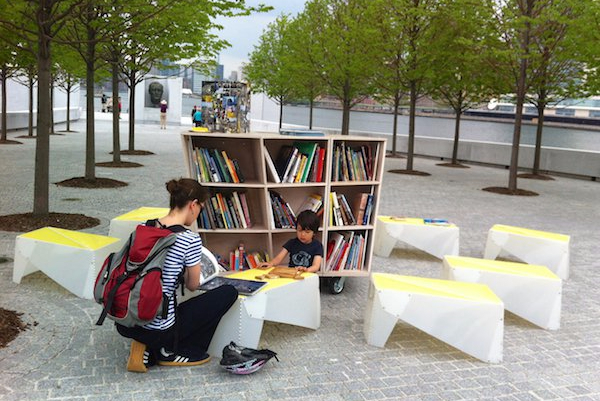 Come sit, read, draw, and explore a curated collection of books and hands-on materials at the Uni, a pop-up reading room that creates community in public spaces. Read our Q&A with co-founder of the Uni Project, Leslie Davol to learn more about their work. Join us for Family Art Workshops this summer! Families will explore topics like architecture and design, then create original works of art inspired by the Louis-Kahn designed Park. Ages 3+. Registration encouraged. $5/child, members free. Families will work together to design their own great building blueprint, using LEGO blocks-as-stamps with paint. After collecting and sketching shapes, families will construct modernist masterpieces using marshmallows and toothpicks as their building materials. 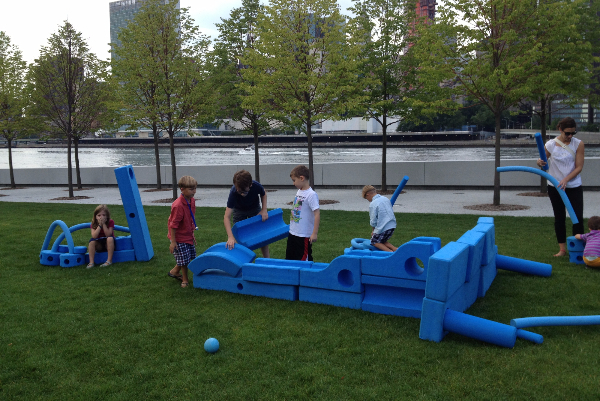 Families will collaborate to build a 3-dimensional cityscape, transforming recycled materials into model buildings. Our family art workshops are designed for children and their caregivers to work together on art-making projects. We recommend one adult per two children. The year is 1935. Half of all broadway theaters have closed. Regional and community theaters are all but non-existent, and work for unemployed actors has dried to a trickle. The crisis began years ago. With the advent and popularity of film and radio, jobs for actors, stagehands, and technicians in live performances began to dwindle. Then the Depression hits, and it takes away more than 25,000 theater jobs. The outlook for American theater is grim. And then, a new project, a project called “the most creative and dynamic approach that has yet been made to an American National Theater,” emerges. Over the next four years, the Federal Theater Project would radically change American theater, revitalizing live performances, generating jobs for thousands, and creating a venue for Americans to discuss current politics and policies. The unique story of this project, and other policies FDR created in support of the arts, is available here. 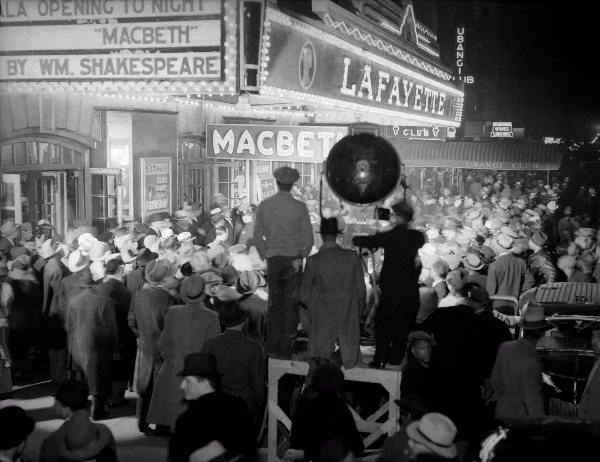 Photo: Opening of the Federal Theater Project production of Macbeth at the Lafayette Theatre, Harlem. April 1936. Courtesy LOC. Copyright © *|CURRENT_YEAR|* Four Freedoms Park Conservancy, All rights reserved.